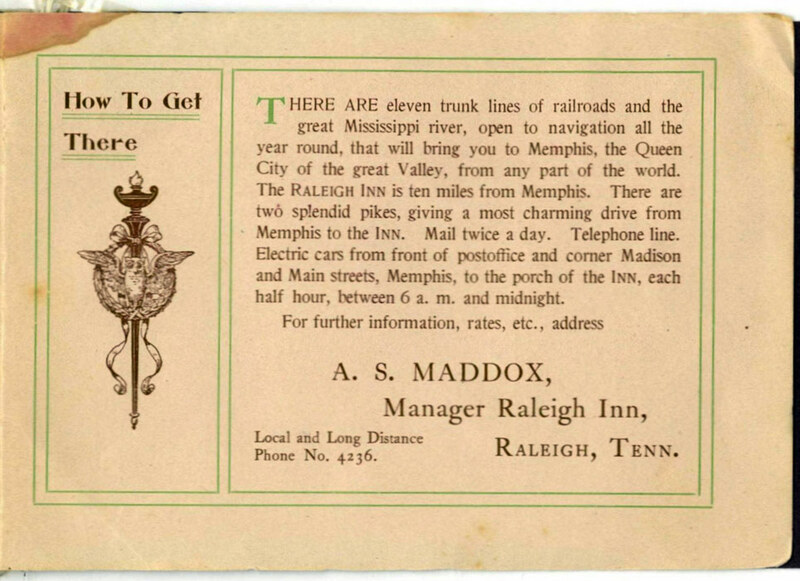 Raleigh was 127 feet above Memphis. 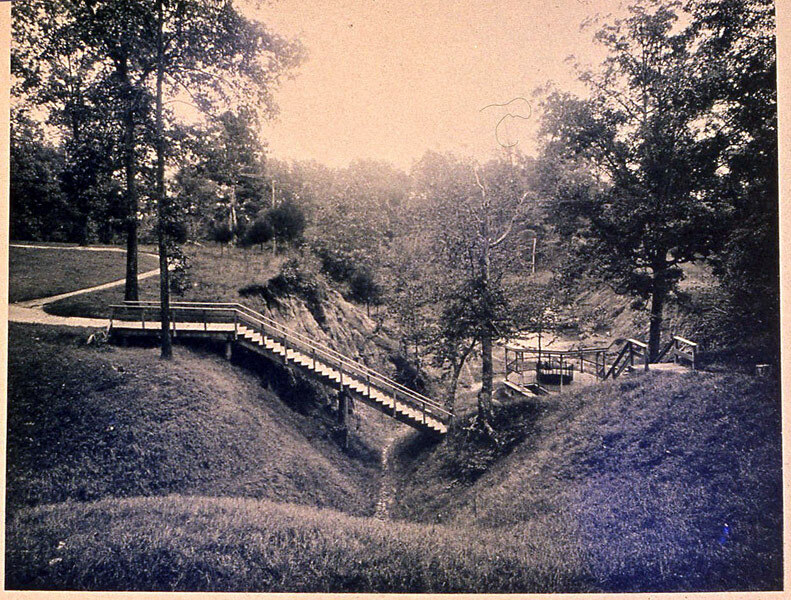 The formation around the town consisted of layers of sand with clay, and contained beds of Lignite and marl and sand colored with iron oxides. 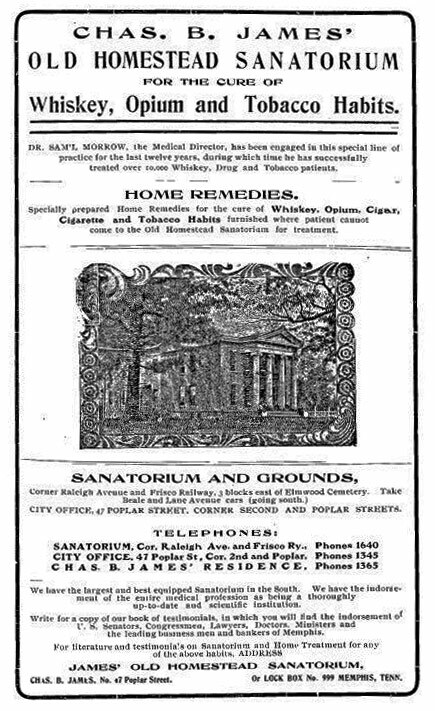 In 1842, Dr. David Coleman accidentally discovered the medicinal virtues of the excellent springs located around the old "Tapp's Hole". 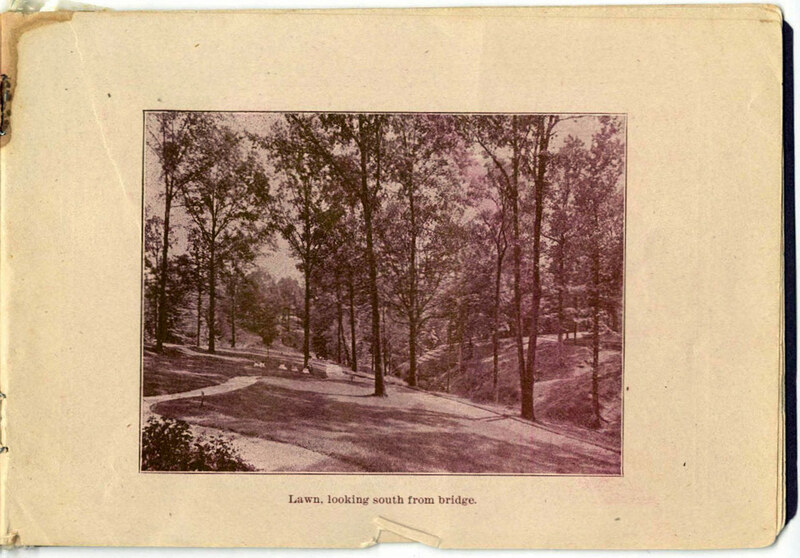 The spring's temperatures were from 68 to 74 degrees. 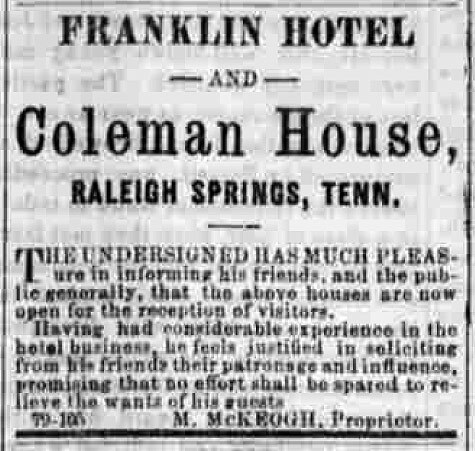 Coleman immediately built a hotel near the springs. 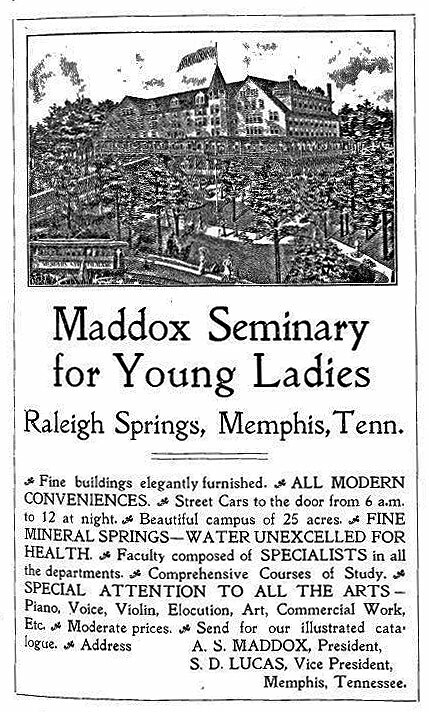 Several others soon followed. 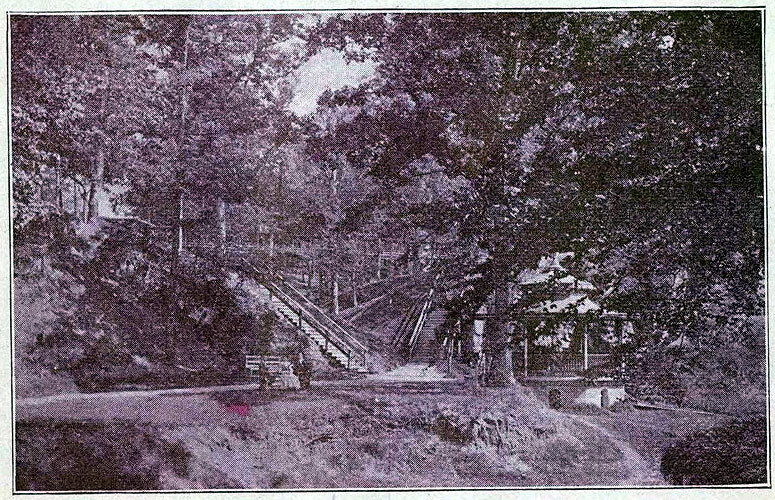 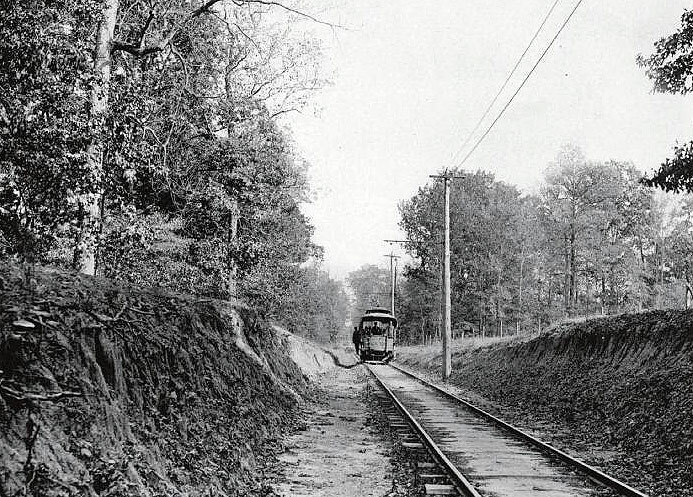 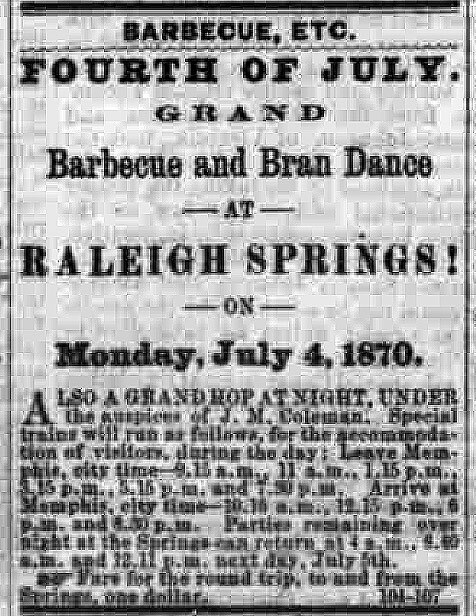 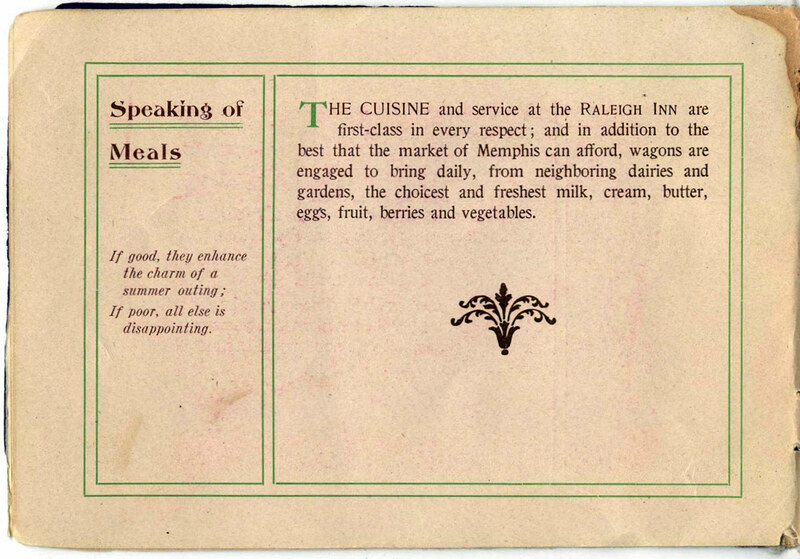 To help promote the area, a narrow gauge railroad was established from Memphis to Raleigh in 1873. 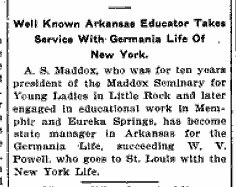 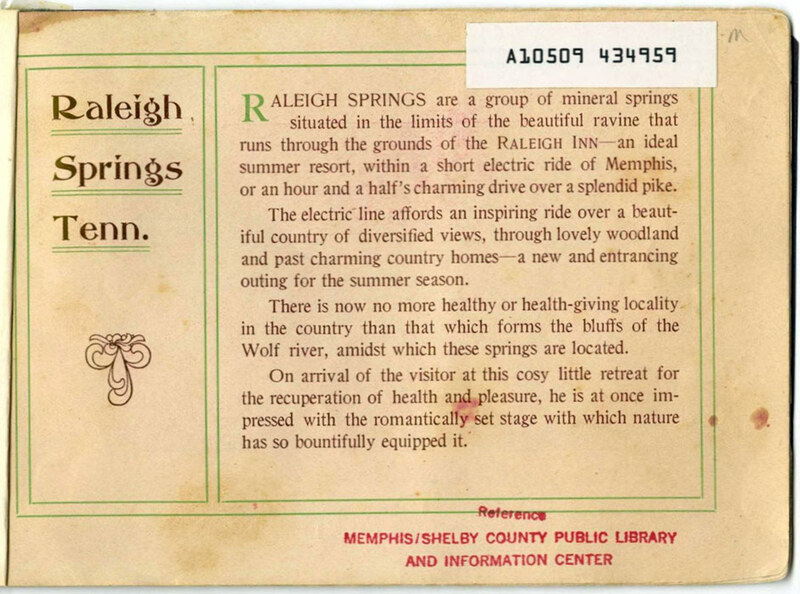 "Within a short electric ride of Memphis, or an hour and a half's charming drive over a splendid pike" . 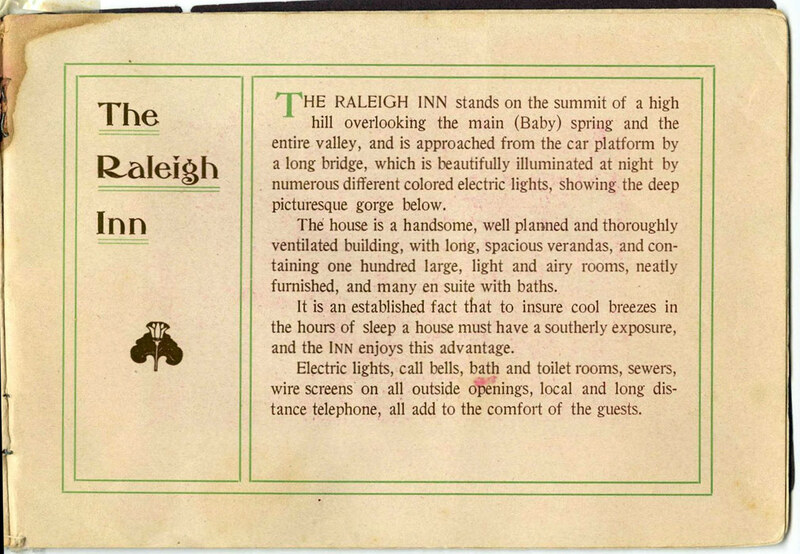 "Electric lights, call bells, bath and toilet rooms, sewers, wire screens on all outside openings, local and long distance telephone, all add to the comfort of the guests" . " 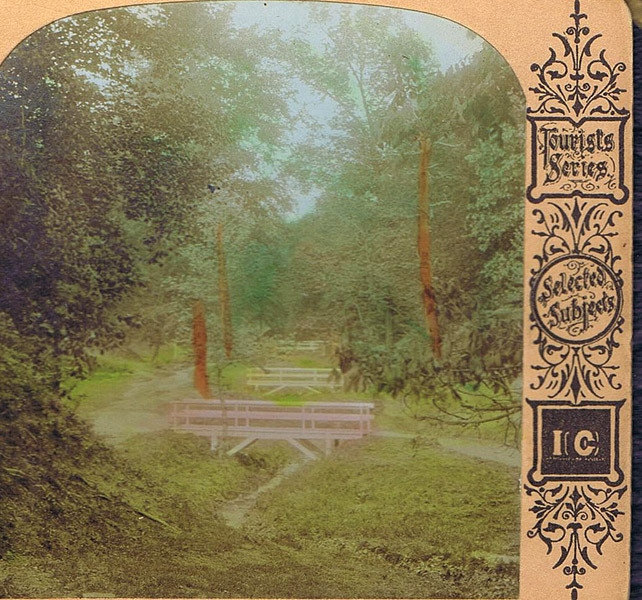 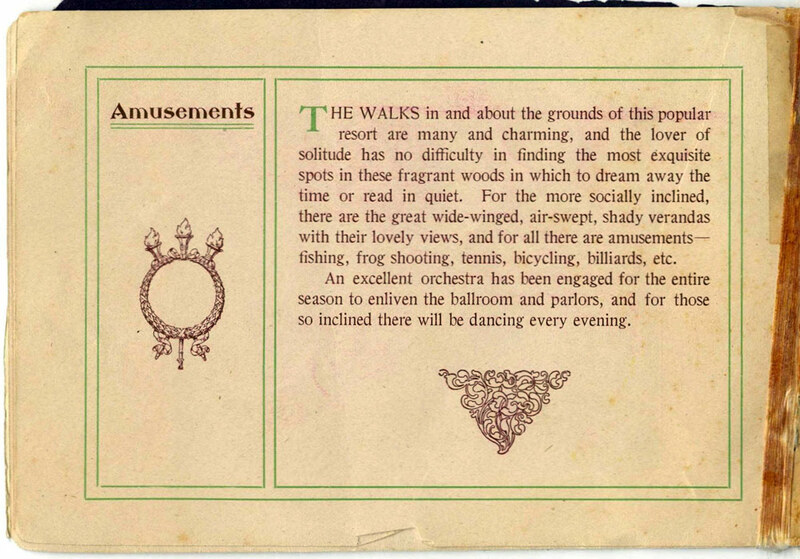 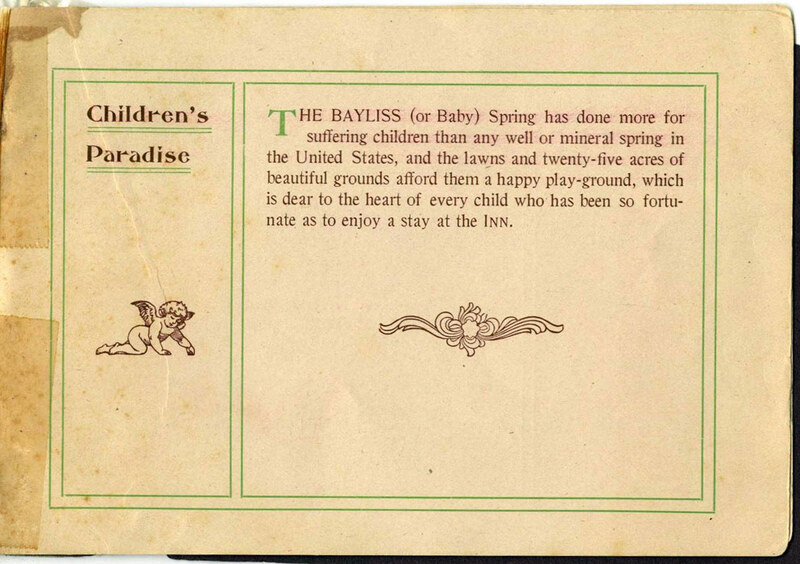 ... amusements - fishing, frog shooting, tennis, bicycling, billiards, etc." 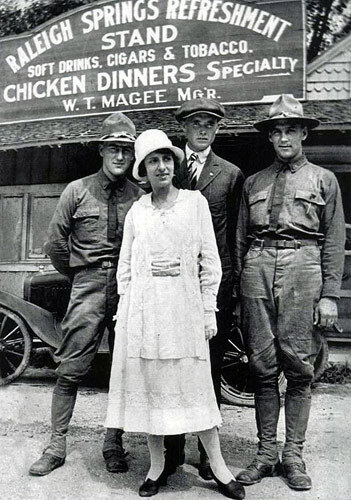 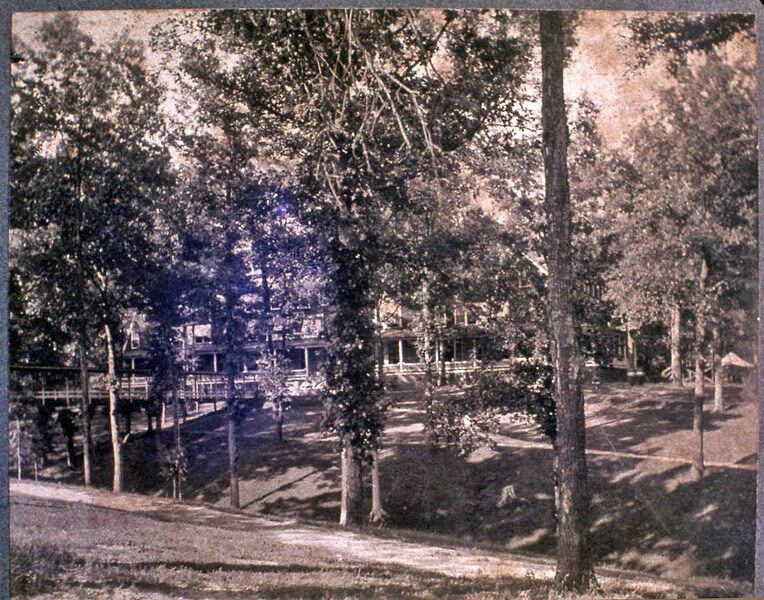 The hotel also hosted band concerts, grand balls, and military drills by the Chickasaw Guards. 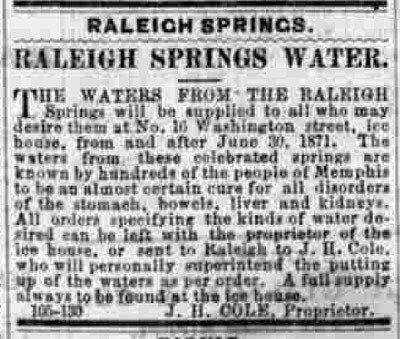 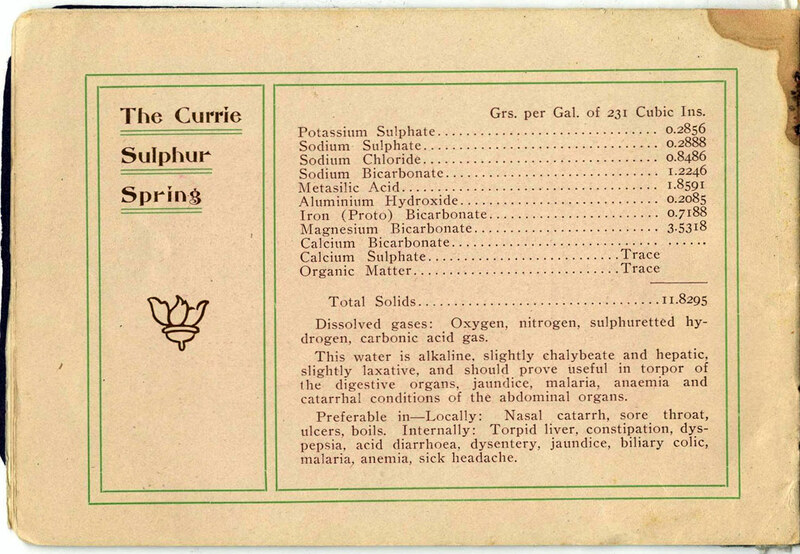 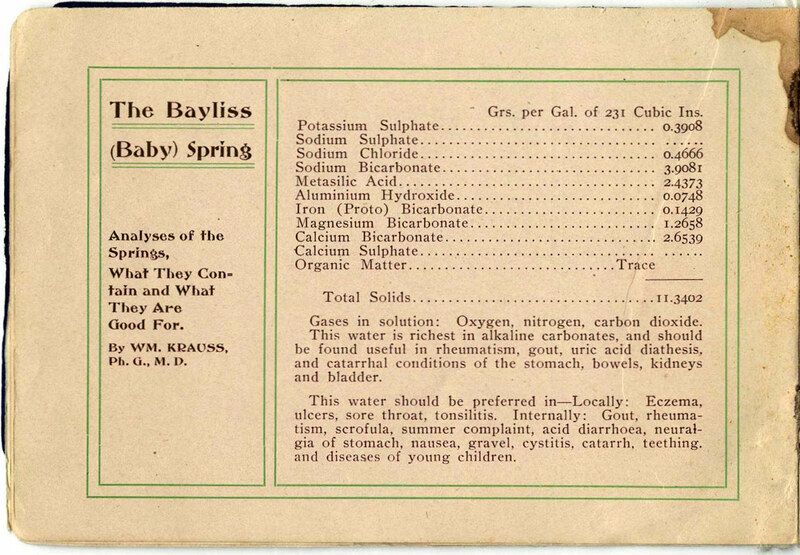 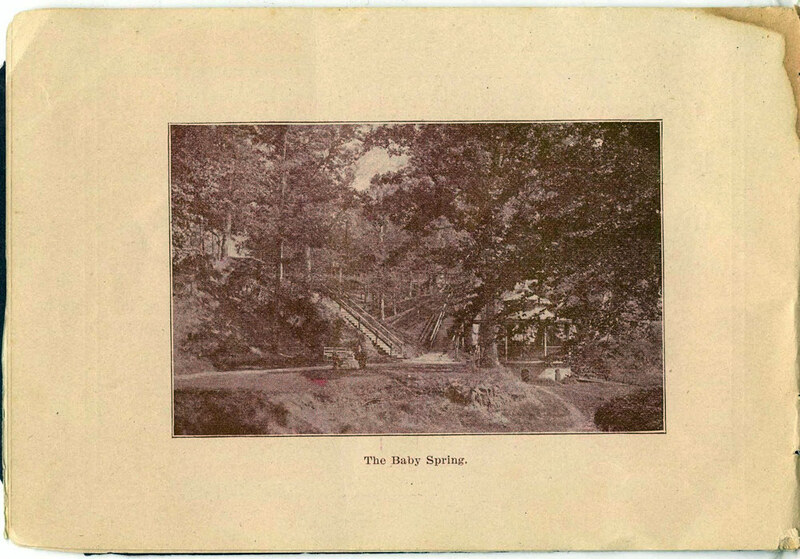 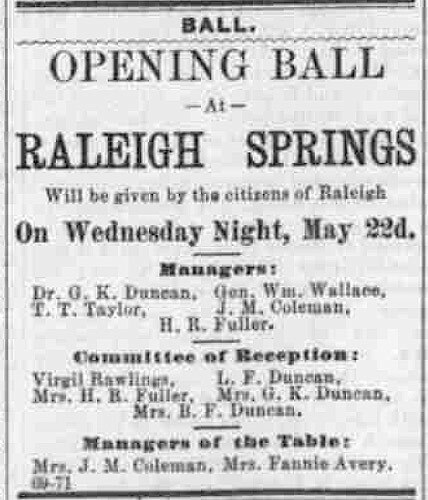 And the Raleigh Springs will treat: "Eczema, ulcers, sore throat, tonsilitis, Gout, rheumatism, sronfula, summer complaint, acid diarrhoea, neuralgia of stomach, nausea, gravel, cystitis, catarrh, teething, and diseases of young children, cardiac weakness, dropsy, liver complaint, chronic diseases, torpor of the digestive organs, jaundice, malaria, anaemia and catarrhal conditions of the abdominal biliary colic, malaria, anemia, sick headache, ..."
The Raleigh Inn had a good 10 year run and then the Raleigh Springs water tables began dropping and the Springs began drying up. 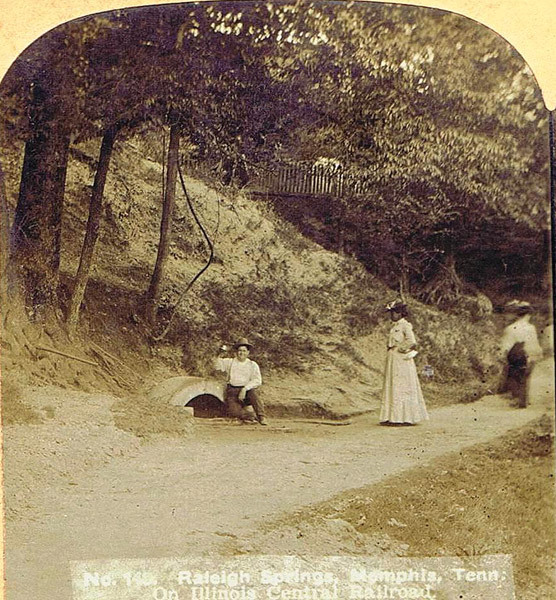 By then Memphis had its own clean water via the discovery of the Artesian Wells. 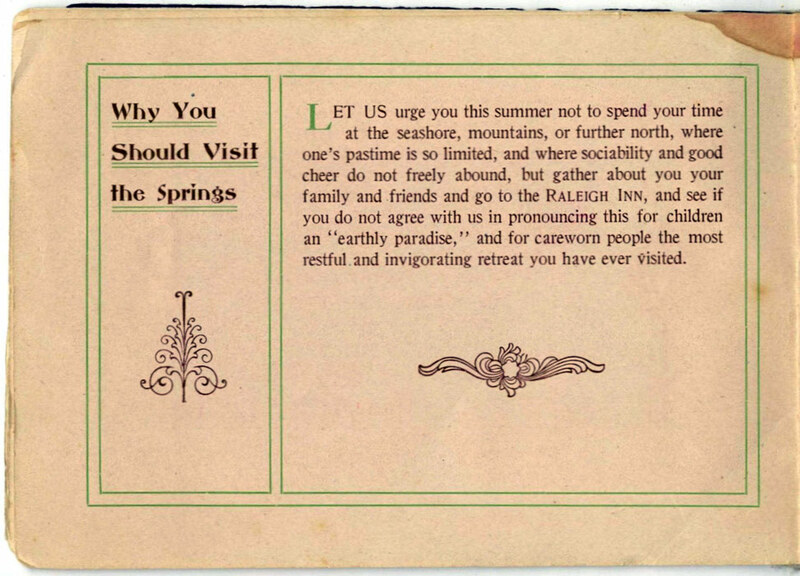 The Springs were no longer the place to be seen. 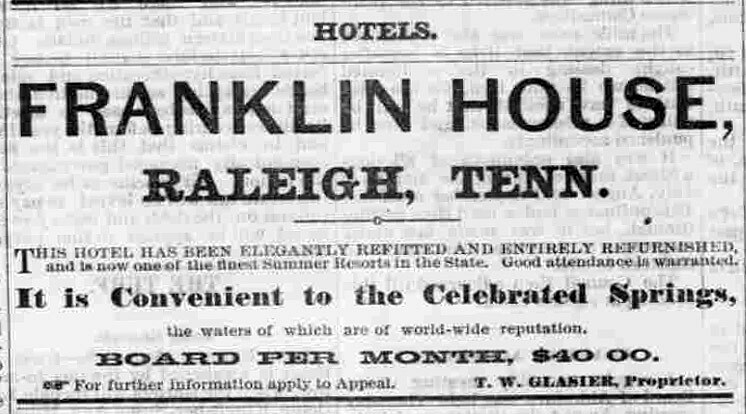 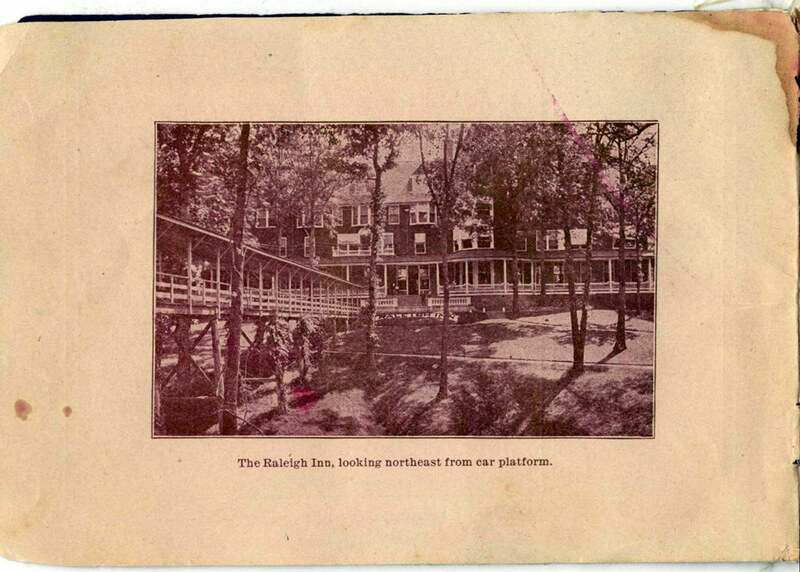 The grand Raleigh Inn closed in 1903. 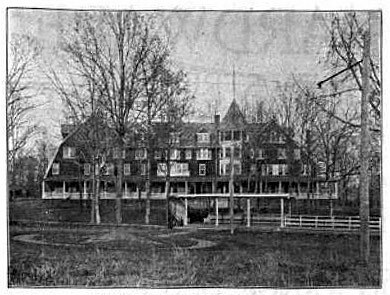 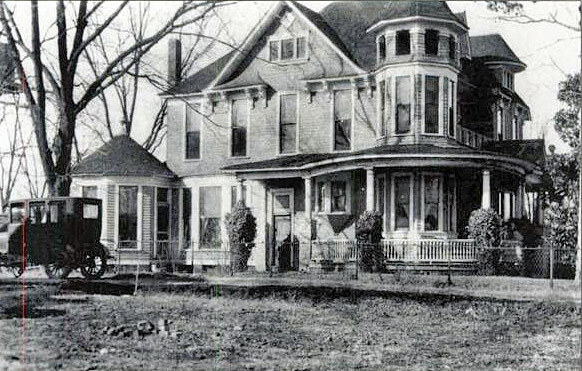 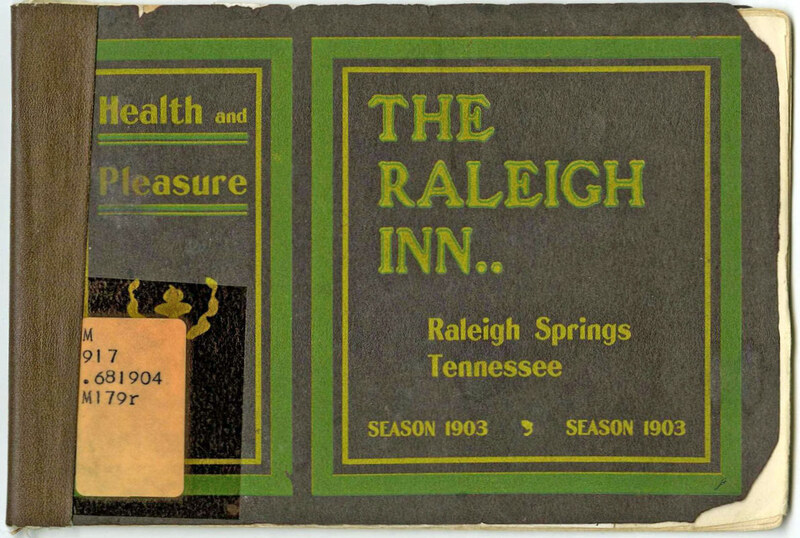 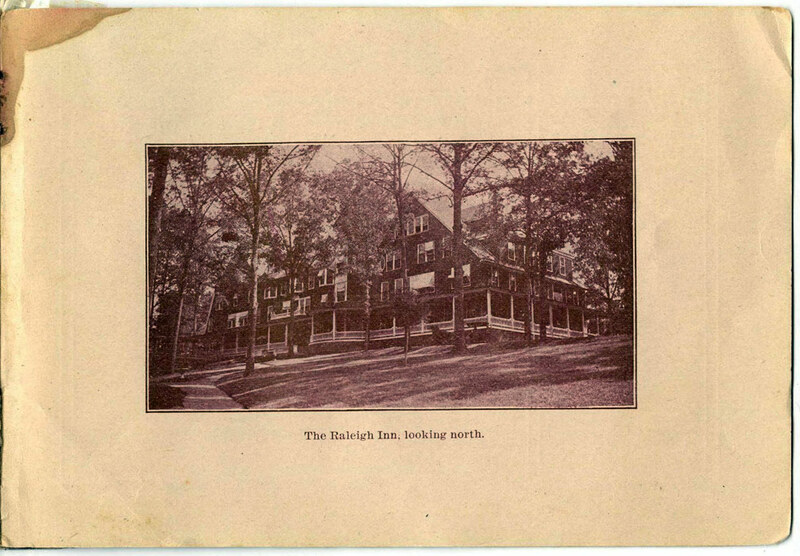 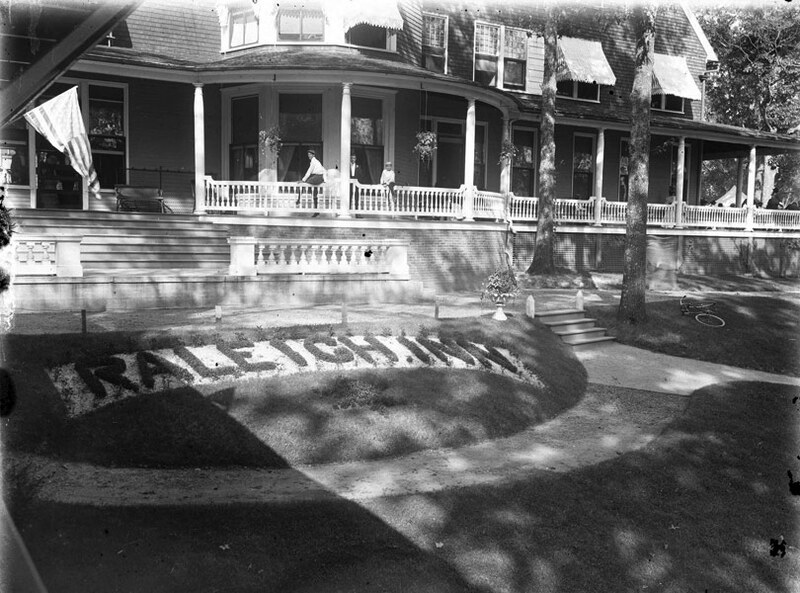 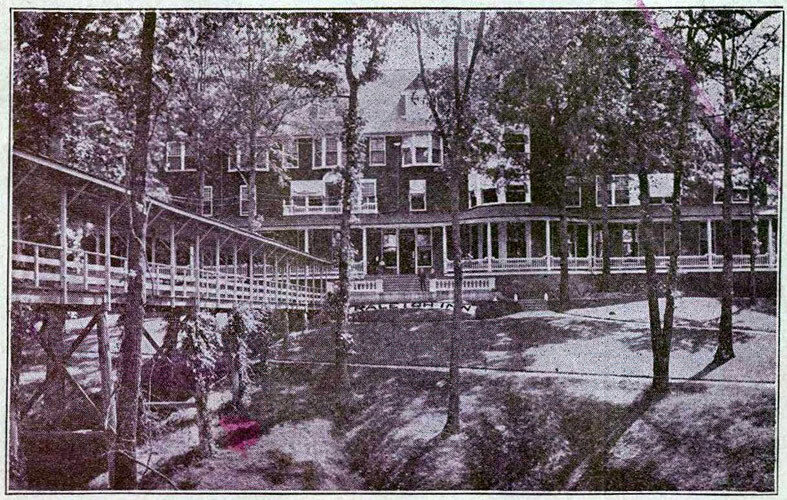 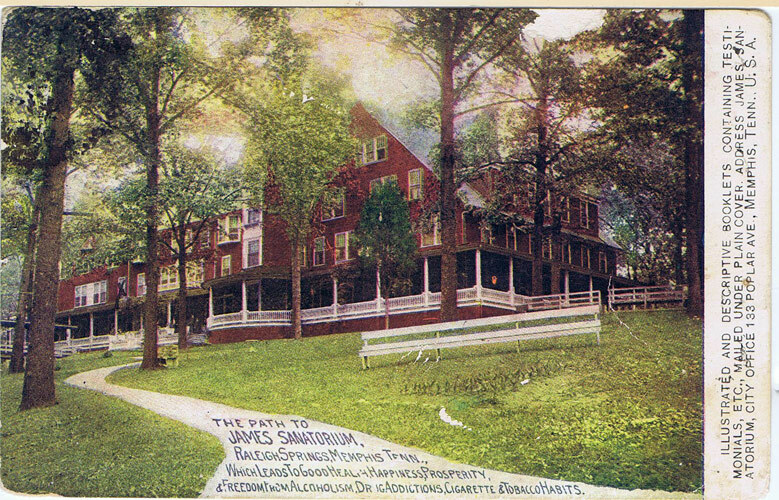 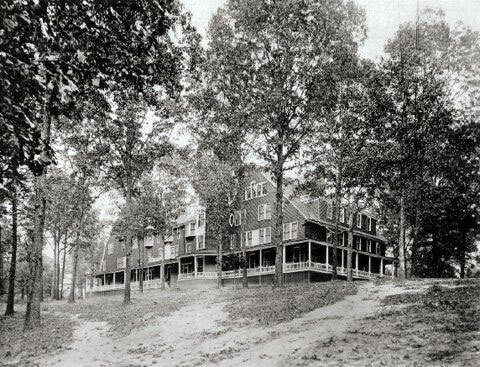 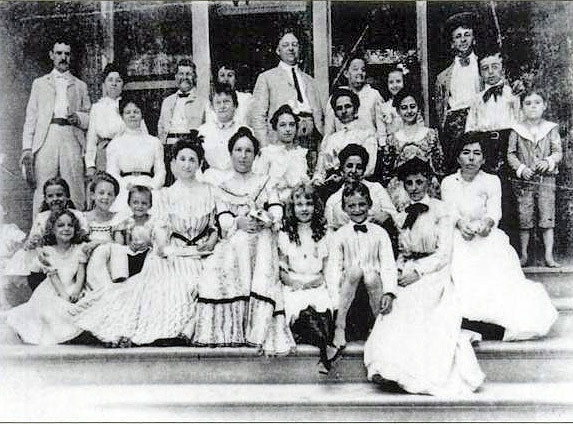 Charles B. James of the James Sanatorium took over the Raleigh Inn building around 1907. 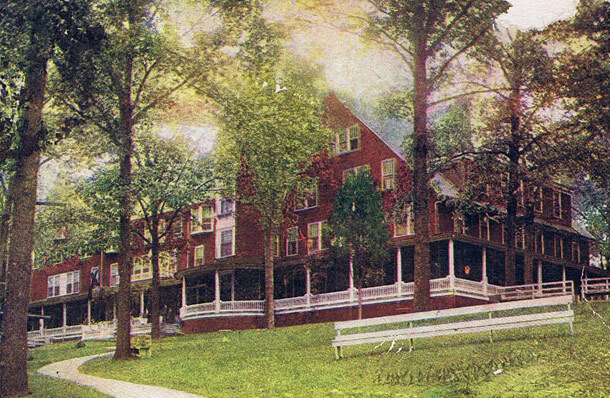 In 1912, a patient smoking in bed, caused a fire and the old wooden hotel burned to the ground. 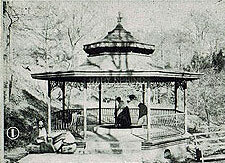 It was not rebuilt and afterwards the site was completely abandoned. 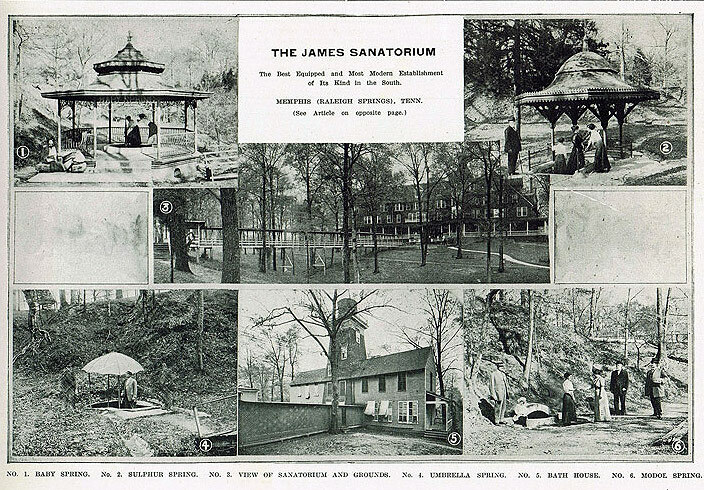 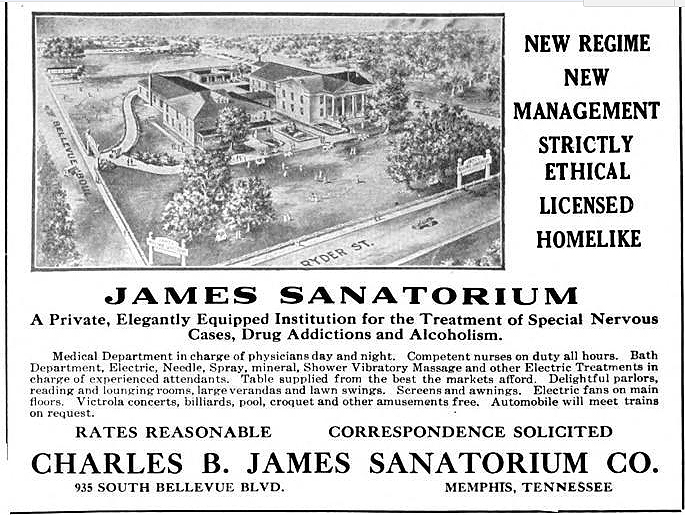 James was well known in the area and generally well-respected but his noted Sanatorium moved around, perhaps a bit too much?. 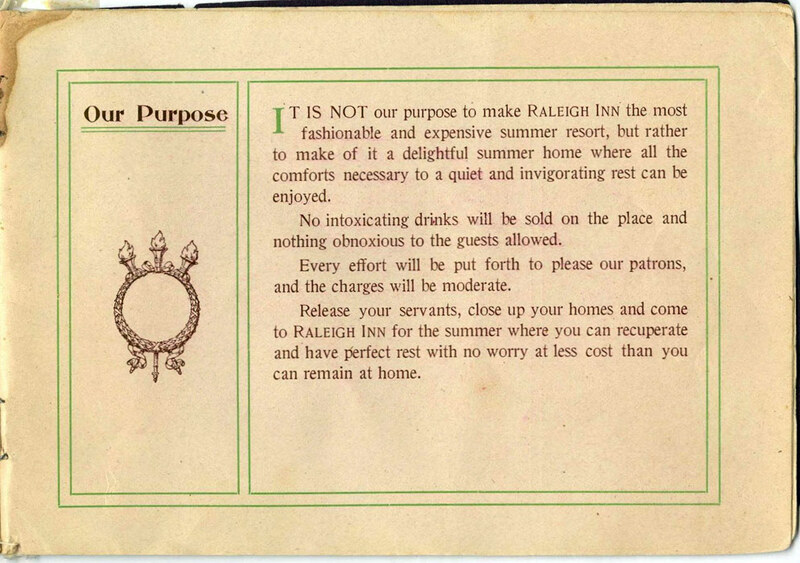 That should have raised red flags. 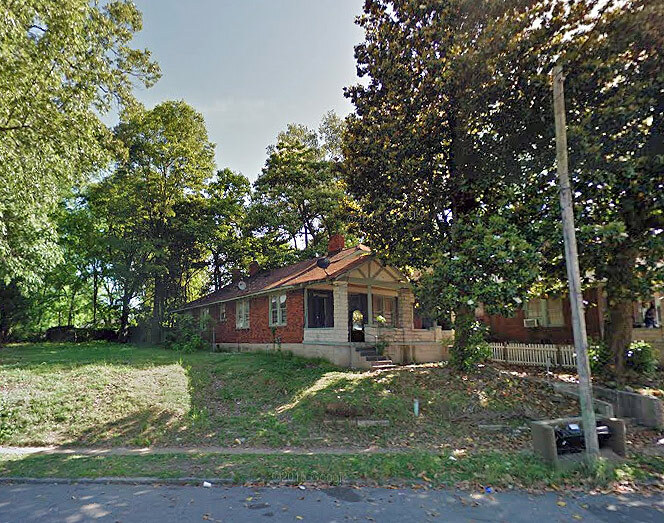 After the Raleigh Inn burned, he moved to 692 Alabama. 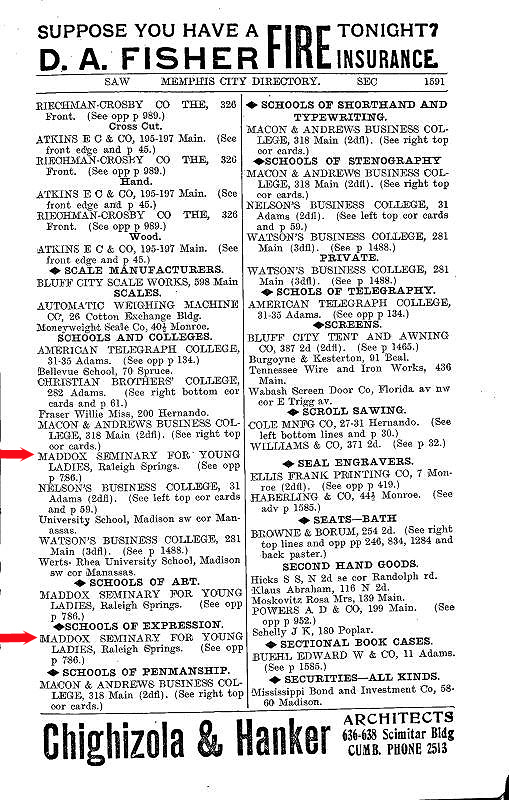 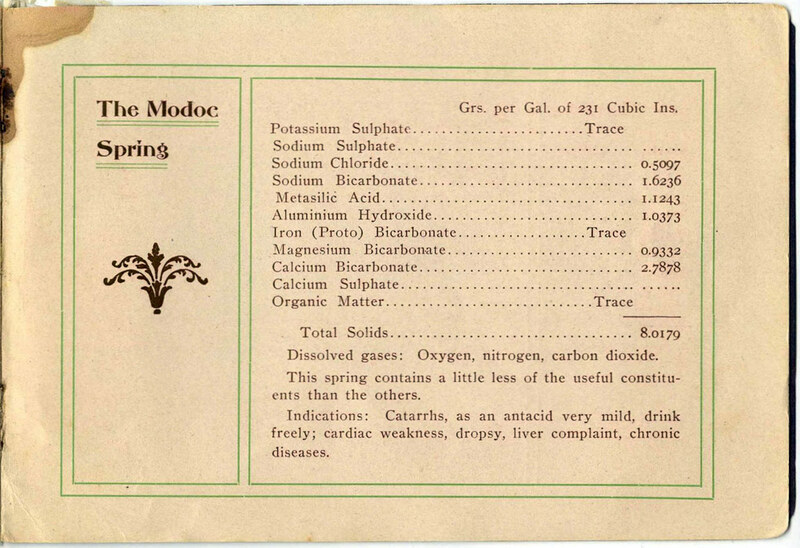 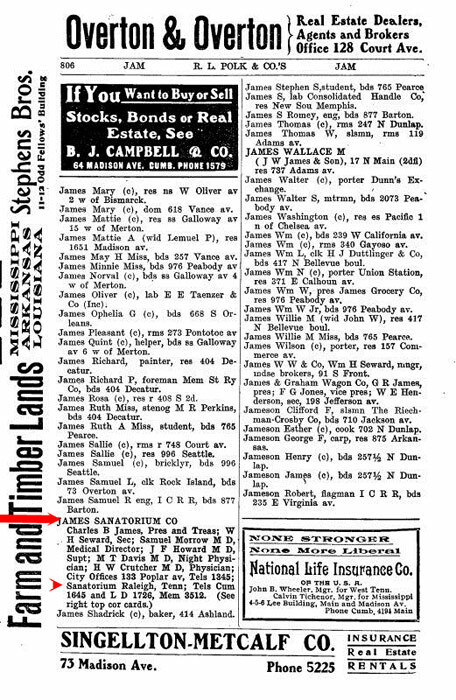 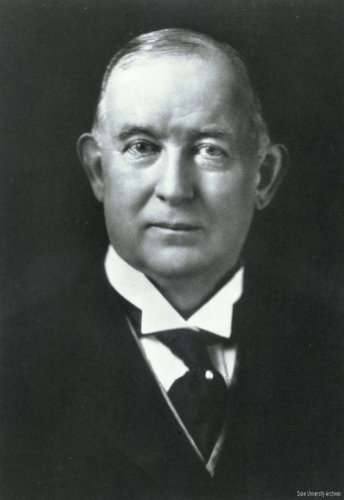 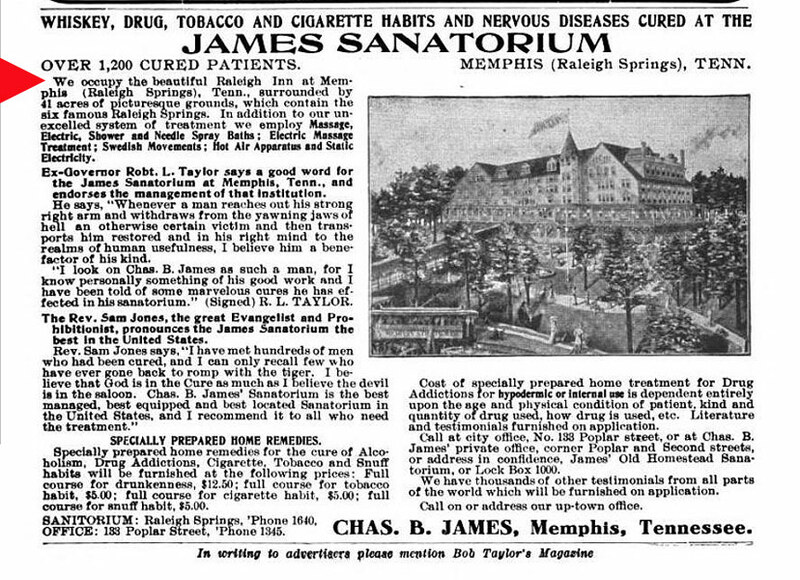 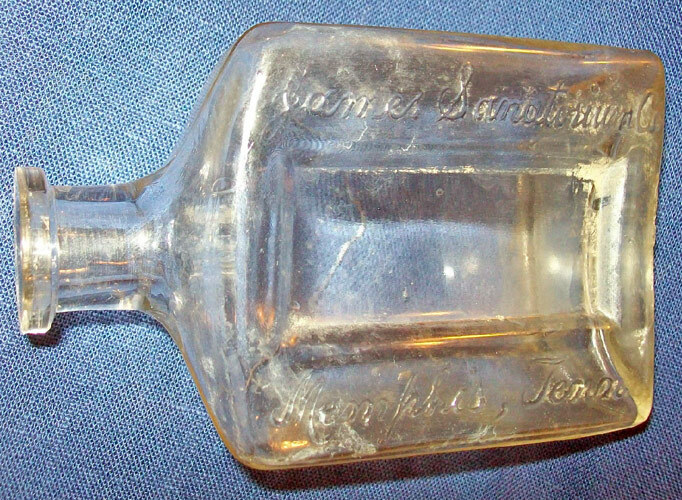 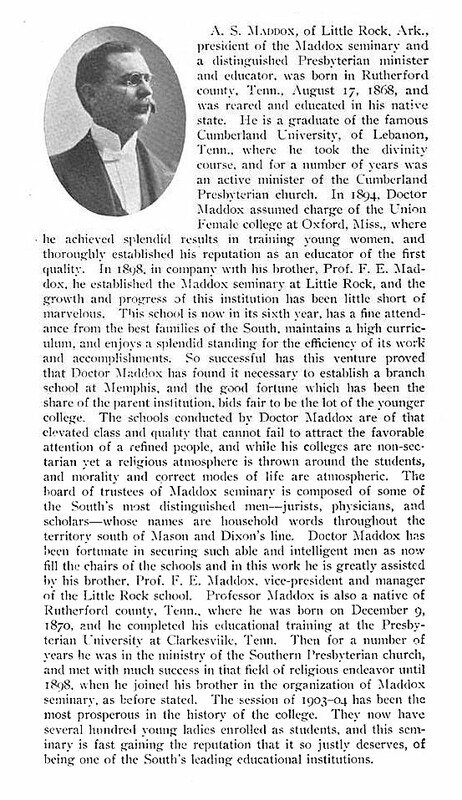 In the 1906 Medical Critic and Guide, there is a lengthy article which lists all the nom de plumes of Chas B. James, his bankruptcies, his deceptions, and the many judgments against him and the James Sanatorium. 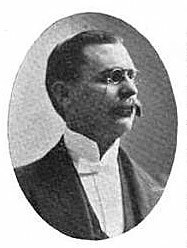 Yet he continued in business, well into 1916. 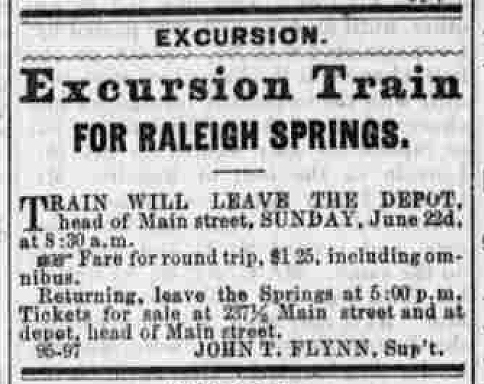 Today, there's no indication that anything was ever built in the springs area and not even a bronze marker.